Duo Twists - Wild Garden. The Duo Twists are twisted pyramid 3D Precut sheets each with two stunning designs together with complimenting background panels.? 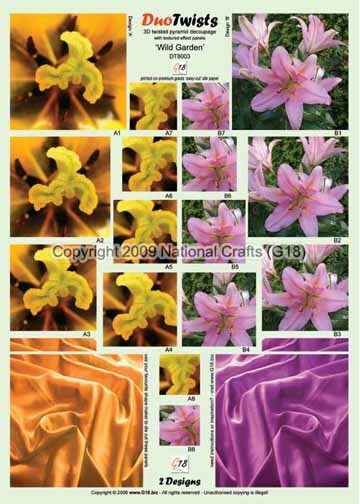 ?® You can mix or match and punch out the panels to create distinctive and interesting effects.